Finnish epic metallers WINTERSUN have completed work on their third studio album, due later in the year via Nuclear Blast. According to a press release, the as-yet-untitled follow-up to 2012's "Time I" features main songwriter Jari Mäenpää once again breaking the boundaries of metal and adding a new and majestic twist to the history of music. Says WINTERSUN: "It's 2017, folks, and it's going to be a great year! Time for some big WINTERSUN news? Yes, it is! "When we said that 'it is done,' we did not mean 'Time II', but we meant a new album for sure! 'Time II' won't be the next WINTERSUN album, because of reasons you already know from past updates and interviews. "So what is 'it'? 'It' is a new album and it is 100% done! And no, that's not the name of the album. This album will be something new and different, but equally great or perhaps even better in some ways. Over 53 minutes of solid WINTERSUN material (with no intro tracks) and with a killer concept! "This album will be the third full-length WINTERSUN album. We will release the name of it soon and other details such as the track list etc. We're gonna start putting the pieces of the puzzle together for you guys, how it's going to be released and what will happen... It will be a whole new experience! It will all make sense to you very soon! "And this album is not the only thing we've done, not by a long shot! In fact, your minds will be blown soon! That is a guarantee." 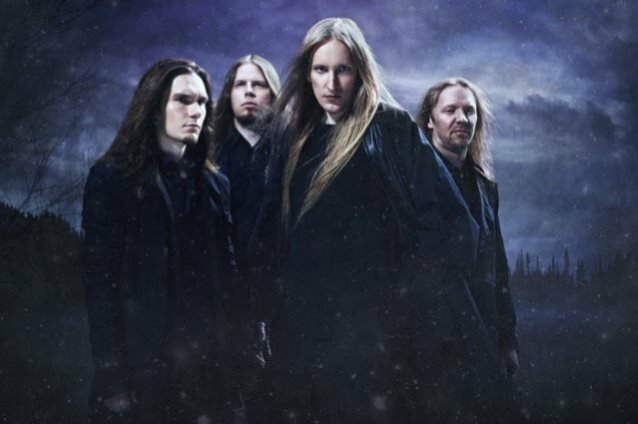 WINTERSUN's "Time I" was nominated in the "Metal Album Of The Year" category at the 2013 Emma Gaala (Finnish Grammy equivalent), which was held at Barona Areena in Espoo, Finland. WINTERSUN's debut CD was released in September 2004 through Nuclear Blast Records.